Every year on 7th April, World Health Day celebrated as global health awareness day. So, on this, we are going to highlight the impacts of e-commerce on the health and wellness industry. The e-commerce and wellness sector is experiencing a new lease of life. It is the period of quick delivery, and it doesn’t stop only at retail. The rise of e-commerce marketing is sweeping across all industries, and this includes the health and wellness business. As an increasing number of people across the world show interest in digital marketing and products that will improve their health and fitness, it becomes essential to measure the success and benefits associated with e-commerce in the health and wellness sector. 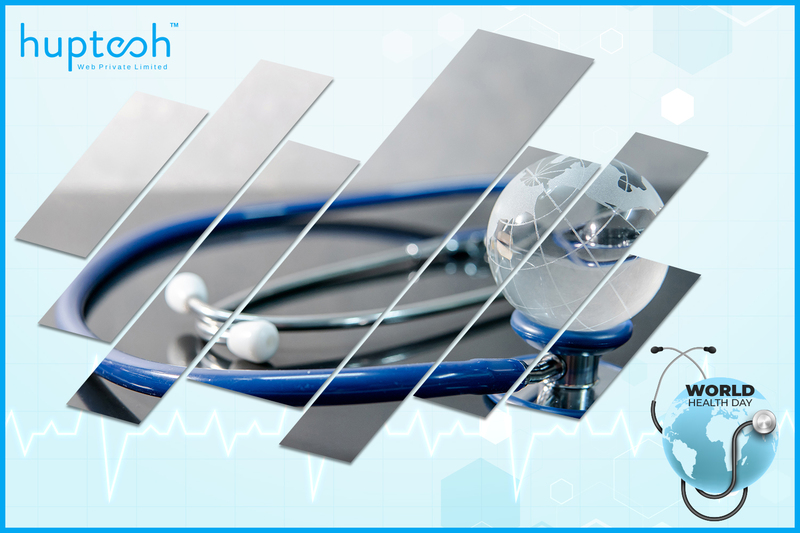 It is no longer a secret that the global online healthcare scene has grown tremendously due to the increase rate of e-commerce via internet penetration and a hike in the usage of mobile/internet apps. The health and wellness industry is witnessing extensive medical applications like telemedicine, medical consultation, and care giving services are some of the innovations influenced by e-commerce in the health and wellness industry in many nations across the globe. According to Goldman Sachs, the health and wellness industry as driven by e-commerce online store is prepared to spend about $32billion on e-commerce and related web service technology every year. That is five times greater than the $6 billion online retailers spend yearly on all types of e-commerce services. The retail spending of consumers for durable medical equipment such as hearing aids and eyeglasses is now up to $48.5 billion—a 4% increase from the previous when measured to 2016. 2016 is a year that saw consumer spending about $322.7 billion at chain/independent pharmacies, including the use of e-commerce online store, and from every indication, this growing trend for prescription delivery is not going to slow down, even in 2019 and beyond. Thanks to the powerful drive of e-commerce and the satisfaction it present for a growing desire for convenience, many companies in the health and wellness sector stand a great chance of breaking into the e-commerce business. How e-commerce impact the state of health and wellness in the US? The healthcare system in the United States is a vast market that is worth $3.2 billion if broken down into different segments including health and hospital system, physician groups, insurance companies, insurance companies, drug, and medical tools, etc. Today, about 68% of businesses are seriously considering getting into the health and wellness market. Popular businesses like CVS and Walgreens are transforming their e-commerce operations into digital delivery platforms that will provide for consumers with a variety of service. Such digital marking drive is because of how e-commerce is shaping the health and wellness industry, particularly in the US. “The healthcare industry is digitizing quickly, and the consumers are getting comfortable in going online to source for their healthcare needs by researching on symptoms, specific doctors, buying products, paying bills, and getting more educated about their health option,” said, Amy Madonna, Principal Founder of Madonna. There is a great e-commerce opportunity open for niche web merchant and consumers to gain from it. Unrestraint Access to Information: One of the key benefits of e-commerce marketing in the health and wellness industry is that it offers an immediate release of information to healthcare providers (hospitals), insurers, and clients/patients. The most important aspect of this is visible in some parts of the world where access to healthcare is limited. Open Channel Communication: Another area in which e-commerce platforms impact the health and wellness industry is the provision of a unique opportunity that seeks to improve communication among hospitals, doctors, and of most important, between healthcare providers their different patients. Improved Outcomes and Convenience: E-commerce makes it possible for healthcare providers to connect with patients, assisting them in the area of medical regimen compliance, chronic disease management, and answering general questions, all of which helps in keeping people healthier and increasingly engaged in managing their overall health needs. Services offered through e-commerce online store also goes a long way in removing or reducing inconvenience related to health and wellness shopping. Gone are the days when you need to purchase and transport about large healthcare items like milk feeds, diapers, and more. With online digital marketing, you can easily buy larger items and get them easily delivered quickly to your doorsteps. In addition, you can make purchases 24 hours o the day and at any time you want. Efficiency: E-commerce use of technology helps to reduce time-consuming and redundant activities most medical professionals, and healthcare providers have to undertake to render their services. With increased technology, it is easier to spot and purchase a wide variety of products under a more transparent price regime. The use of e-commerce in the health and wellness sector offers lower prices and discounts. The ability to leave feedback and previews, plus replacement and refund policies make e-commerce in the health and wellness industry efficient and effective. Technology-driven e-commerce has disrupted the US retail market and the rest of the world. It is something that is revolutionizing the way traditional stores offers healthcare products and services while dramatically cost as well as improving customer services.